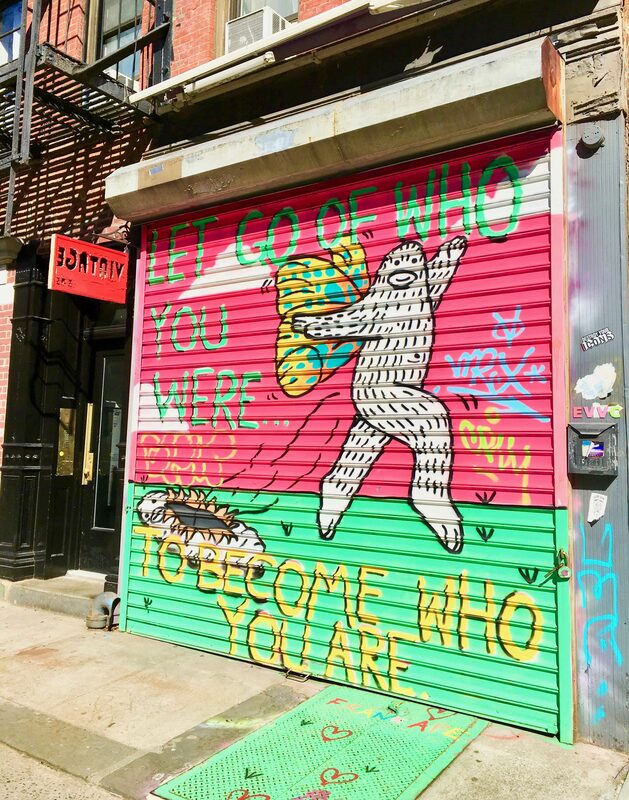 This fun and inspiring mural can be found on the security gate at East Village Collective, a vintage clothing store located at 545 East 12th Street (Between A and B), East Village, NYC. 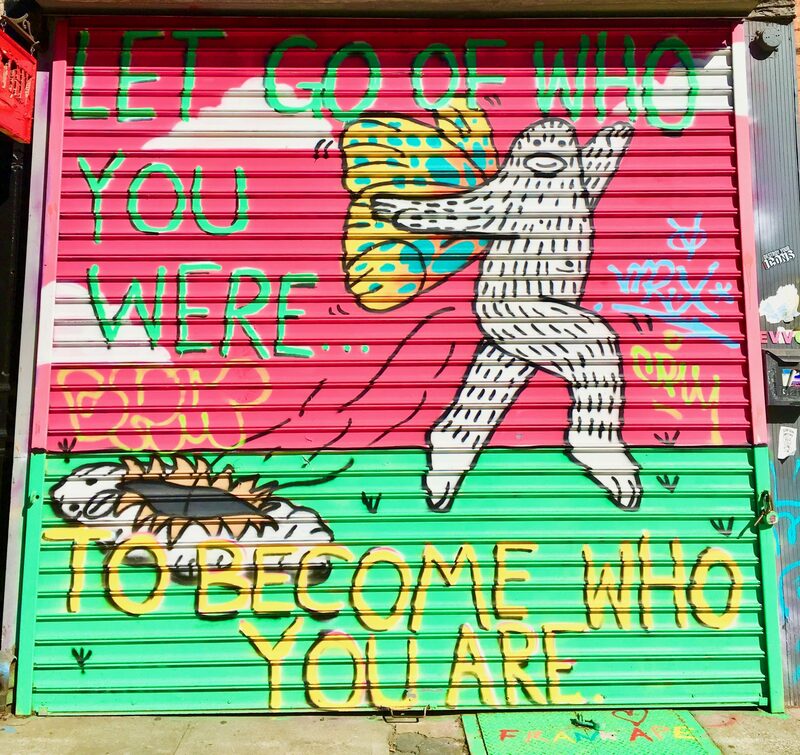 The mural went up in April of 2018. 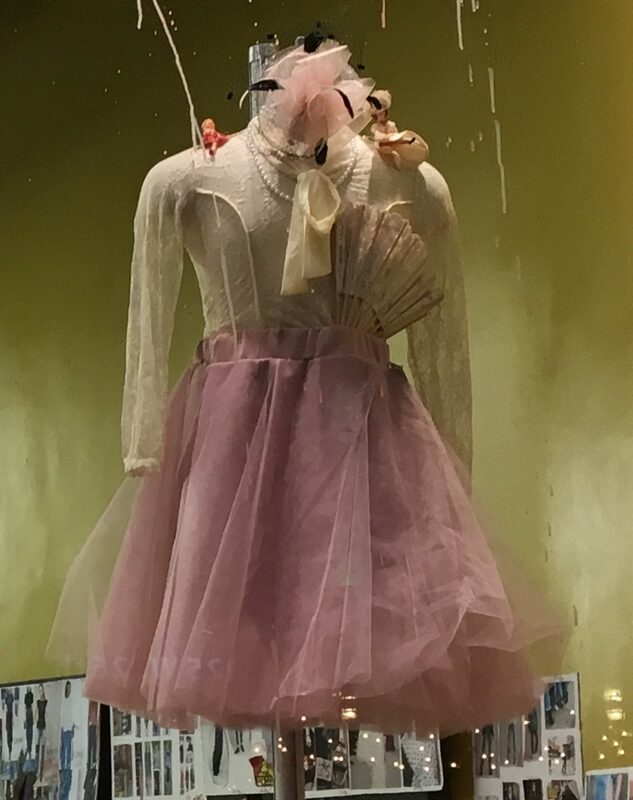 Flamingos stores sell vintage clothing by the pound! 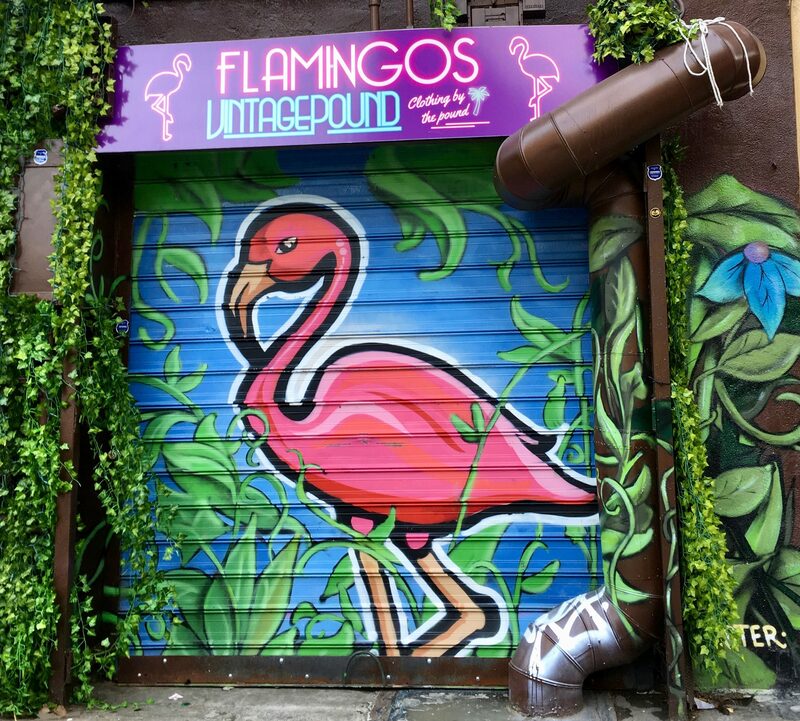 This one, with its awesome tropical-themed Pink Flamingo security gate mural, is located on New York City’s LES at 57 Stanton Street! Talk about an “Oh Wow” factor that is just off the charts! 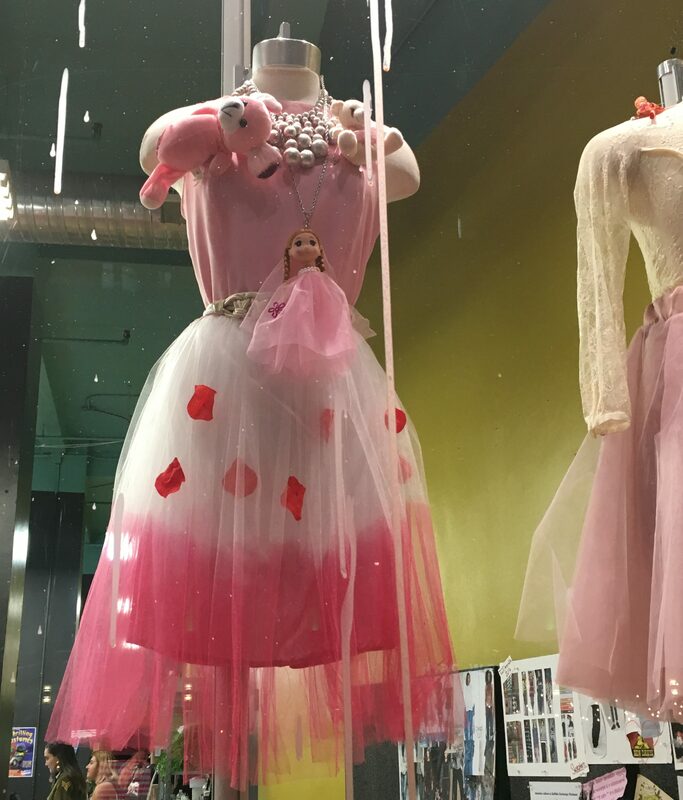 This breathtaking, Pink Fantasy Window Display at the Buffalo Exchange vintage clothing store stopped me dead in my tracks. 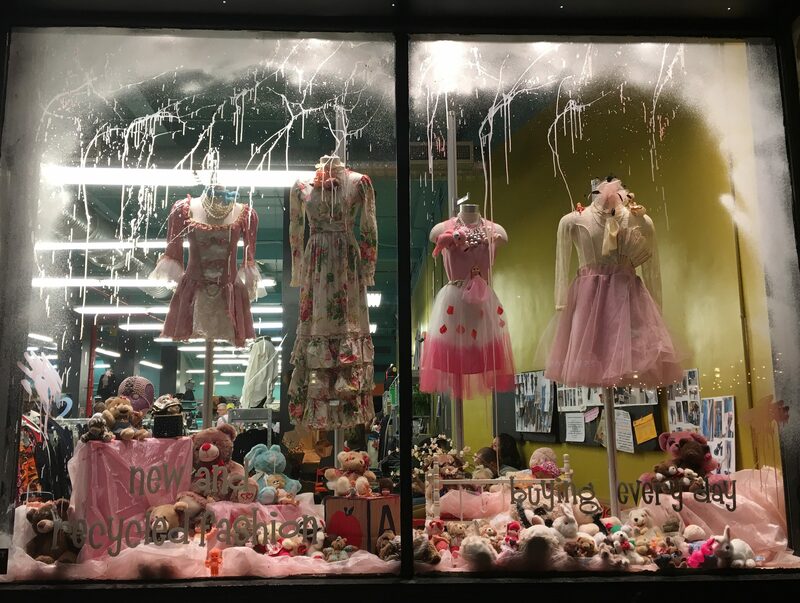 As if the above Pink Apron Dress wasn’t eye-catching enough, the window dressers accessorized the mannequin’s outside with vintage toys, and more toys were strewn as the base of the display. 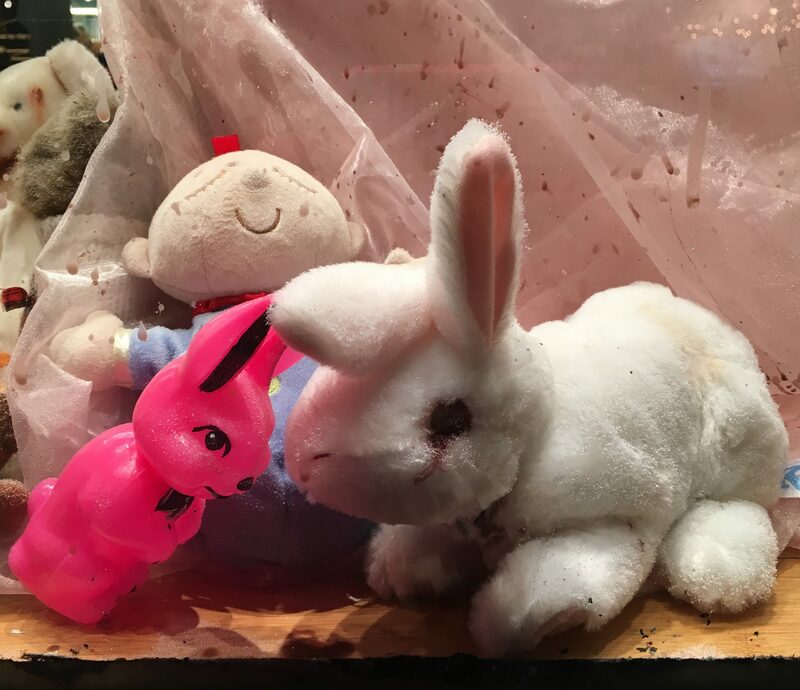 It was like Christmas, Easter and Halloween all in one display! 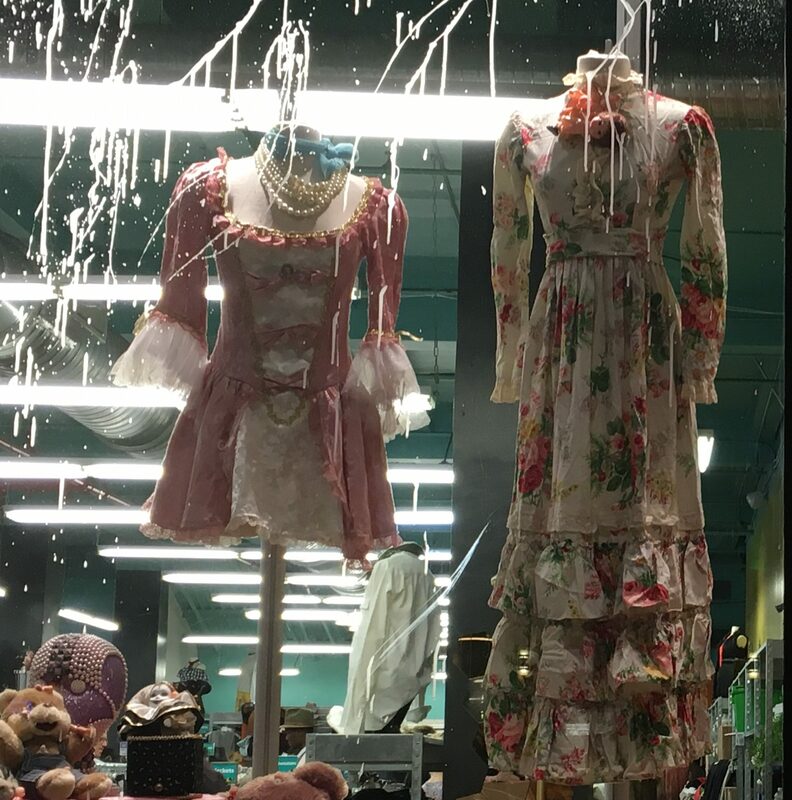 Buffalo Exchange is Located at 114 West 26th Street, Between 6th and 7th Avenues, in Chelsea NYC.